Several types of modified starches are of substantial commercial value as they are low-cost, biodegradable polymers whose properties and functionalities are significantly improved. Oxidized starch is obtained by treating it with certain amount of oxidizing agent under controlled conditions. A wide variety of oxidizing agents are used for the production. Increased whiteness, reduced microbiological content, amazing whiteness, and remarkable adhesion are some of the key improvements oxidization brings to the native starch. These properties boost the usage of oxidized starch as adhesion coating in batters and breading and in making transparent confectionery products. In particular, they are extensively used as thickener for applications requiring gels of very low rigidity. Constant advancement in methods for preparing oxidized starch has expanded its applications, thus underpinning lucrative market prospects in the years to come. 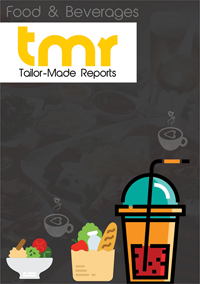 The global oxidized starch market is driven largely by their rising demand in diverse industry verticals such as confectionary, baking, paper, textile, and construction. The rising application is attributed to its role in improving the physical and chemical properties of the end products in these industries. The extensive usage of oxidized starches in the baking industry to improve the functional attributes of dough and for warp sizing in the textile industry are notable factors accentuating the revenues. Several macroeconomic factors support lucrative demand for oxidized starch. The changing lifestyle of consumers across the world and the rapid pace of urbanization is favoring the rapid expansion of the market. The suppliers of ingredients for the production of oxidized starch are diversifying their sources, extending beyond prominent sources such as potato and tapioca. In this regard, several players are bolstering their capabilities. Some of the companies engaged in such initiatives are Archer Daniels Midland Co., Cargill, and Ingredion Incorporated. This in recent times have led them exploit oxidized starch for making gluten-free baked goods. The market has also in the past couple of years witnessed notable mergers with players of end-use industries and acquisitions of ingredient suppliers. This has paved way to substantial lucrative opportunities in the market. In the past year, the market has witnessed attractive growth momentum from the substantial thrust by regulatory agencies that conclude that the consumption of modified starches, including oxidized starches, are safe to consume by adults. In recent years, there have been striking advancement in the production methods of oxidized starches, which has led to their production on a large scale thereby boosting the market. In addition, they are also making progress in the application of oxidizing agents. The report makes an in-depth assessment of the market prospects in key regional markets and takes a closer look at emerging avenues in recent years. The report also offers evaluates the impact of key trends driving the various regional markets over the assessment period of 2018–2026. On the overall geographical front, North America is emerging as a potentially lucrative regional market, driven by several favorable factors. Europe with its burgeoning confectionary industry is likely to witness profuse demand for oxidized starches. Meanwhile, Asia Pacific will witness a promising demand in the years to come, coming from the food industry. The study presents insights covering the key elements of the global competitive dynamics, factors affecting the entry of new entrants, and prominent trends shaping the regional contours. It analyzes the impact of various strategies adopted by top players to consolidate their shares or positions in the market. Some of the prominent players operating in the oxidized starch market are Cargill Inc., Ulrick and Short Ltd., Universal Starch Chem Allied, Tate and Lyle Plc., Avebe U.A., Banpong Tapioca Flour Industrial Co Ltd., China Essence Group Ltd., Global Bio-Chem Technology Group Co. Ltd., and Penford Corporation.